Division 2 exotics are some of the best weapons in the game, and all of them have unique talents that make some of them a must-have in almost everyone's inventory. The Division 5 World Tier: Total Basin is now available in the game which brings two exotic weapons:Pestilence and Nemesis. So, if you have trouble with find the two exotics, keep on reading. 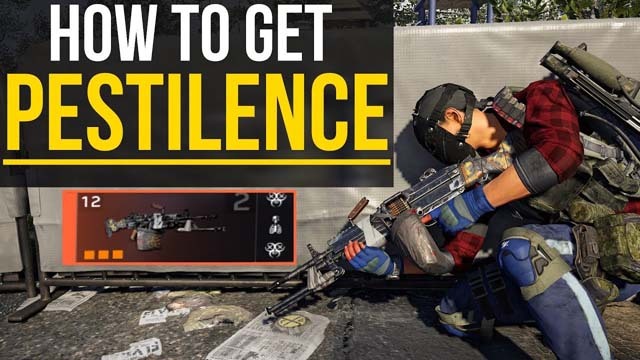 How To Get The Pestilence Exotic LMG In The Division 2? How To Get The Nemesis Exotic Sniper In The Division 2? The Nemesis Exotic Sniper is another exotic weapon added to the game recently. Unfortunately, players can not get the Nemesi as of right now. To get the sniper, you have to collect four unique parts, but as of right now, it’s not yet possible to obtain all four and only two parts are available now. So, how to get the first part available now? To begin, players must complete The Division 2’s Tidal Basin and get to World Tier 5. After that, jump back to Tidal Basin again and select the Tidal Basin stronghold on Normal. Progress though the stronghold until you reach the section where Ortega tells you to patch ISAC into a laptop. In this location, you need to find ?a Black Tusk Keycard on the top floor of a multi-floor building. Continue through the stronghold until you reach the hovercraft bay. Inside of here,players will find a door that can be unlocked using the newly acquired Keycard. Beyond this door is a weapon crate containing the Adrestia SR1,which can be destructed to obtain ?one of two Nemesis components: Marksman Rifle: Scope — The Tally. Next, how to get the second part available now? Next up is playing through the invaded Capitol Building stronghold on Normal. At the very end of this stronghold,players will encounter David “Prime” Maxwell. Defeat him and he’ll drop a part called Marksman Rifle: Barrel — The Scourge, the second part of the Nemesis. To obtain the Marksman Rifle: Bolt and Stock, the final two parts for building the Nemesis, players have to defeat two bosses, Shorty and Klutz, in the invaded Roosevelt Island stronghold and invaded District Union Arena stronghold respectively. Neither are now available in the weekly rotation and are thus inaccessible. In addition, after you’ve collected all four parts, you still need the Nemesis Exotic sniper rifle blueprint, which as of now, isn’t available in the game. However,if you wanna unlock more weapons, you can come to come to Joymmo.com for Cheap The Division 2 Credits, a reliable and cheap online in-game currency store.